Woking community leaders and one of the UK’s leading ethical medical equipment suppliers have combined to give local sport a shot in the arm by funding eight new football teams for children aged 5 to 18. Maybury team Woking Tigers, a not-for-profit, volunteer-led club founded in 2010 which already runs three adult football teams, a cricket team and even a Twenty20 cricket league, can now give hundreds of local children the chance to stay fit and healthy thanks to the support of Woking Asian Business Forum, GlucoRx and Surrey County Council. 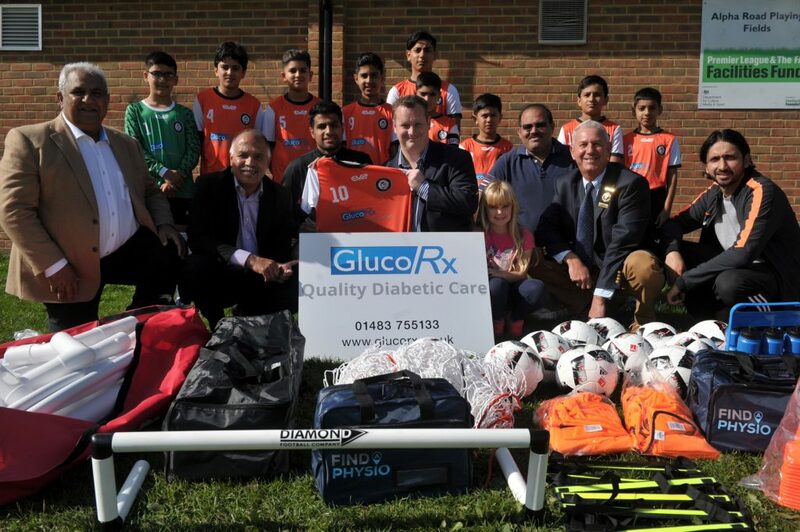 GlucoRx, the country’s second-largest supplier of quality diabetic products to the NHS, are sponsoring the playing kit for all eight teams, whilst Woking Asian Business Forum, led by Shahid Azeem, provided all of the essential equipment, including goals, footballs, training kit and corner flags. The equipment was purchased with the assistance of Aldershot Town FC, who, through their relationship with one of the world’s largest sports equipment suppliers Pro-Direct, were able to obtain a substantial discount on equipment with a retail value of over £15,000. With over three million people already affected by the lifelong disease – a figure that is expected to rise to 4.6 million by 2030 – diabetes treatment now costs the NHS approximately £10 billion per year, 10% of its total budget and the equivalent of £193 million a week. 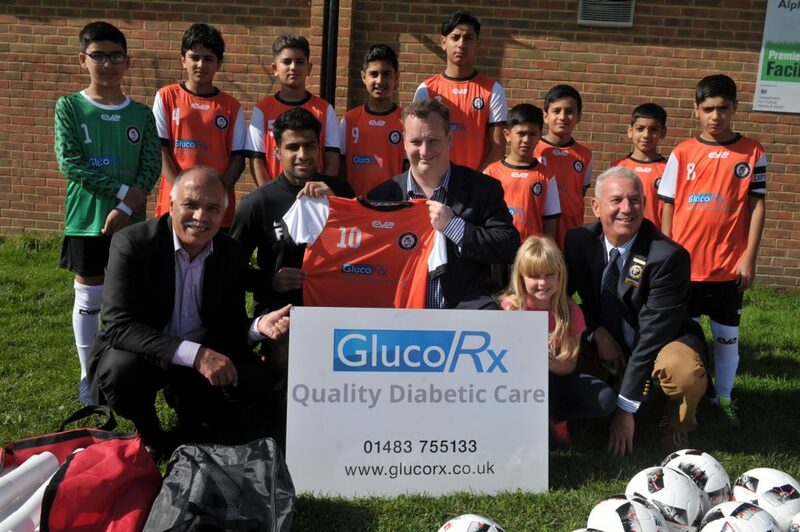 GlucoRx are working with both Woking Tigers and Aldershot Town FC to raise awareness of the condition and promote preventative measures, such as increased exercise and a healthy diet. “I personally cannot think of any better vehicle to get this message across than football,” says GlucoRx Sales Director, Chris Chapman, who believes that learning about healthy eating and exercise at an early age could prevent Type 2 diabetes and obesity in later life. Woking Asian Business Forum was set-up 10 years ago to help promote and support Asian businesses in the Borough. One of the Forum’s priorities is health and well-being, and through a project called ‘AAHA’ – All About Health Awareness – aim to combat the causes of a variance in life expectancy which stretches to ten years on opposite sides of the Basingstoke Canal. “We are very pleased to support this fantastic initiative,” said ShahidAzeem, Chairman of both WABF and Aldershot Town FC. “I was extremely impressed with the vision and inclusivity of Fezaan and his team, and look forward to seeing the benefits of increased participation in football in the years to come. We are also extremely grateful to Ray Morgan, Chief Executive of Woking Borough Council, and Green Spaces Development Officer Arran Henderson.